With an extending aluminium handle capable of reaching 1.4m and the easy deploy flip head mechanism, it can be rapidly transformed from pack-down to ready-to-use. To aid transportation and use, it also features a clothing clip at the head and an EVA grip at the base for improved handling. 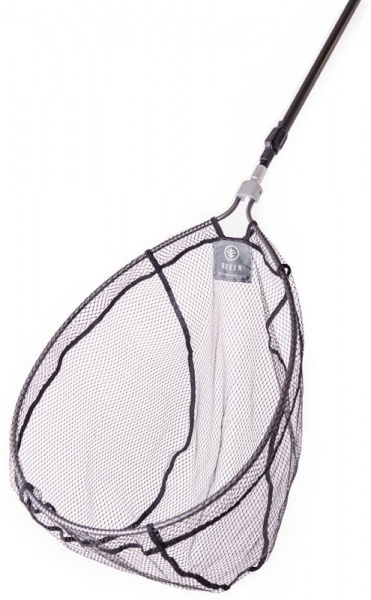 The rubber-mesh helps contribute to the lightweight design, as well as preventing hooks from snagging when landing fish, and it also helps limit the spread of disease between venues.